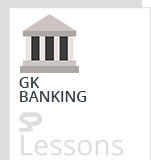 Static GK is an important section in several exams like IBPS PO, Clerk, SO, LIC, UIC, etc. The article Indian Banking and Indian Schemes Important Abbreviations 2019 presents the list of important Abbreviations of Indian Banking and Indian Schemes for the year 2019 . PMSAGY – PRADHAN MANTRI SANSAD ADARSH GRAM YOJANA. LARR – LAND ACQUISITION, REHABILITATION & RESETTLEMENT.